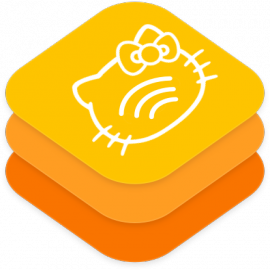 HomeKitty is a a crowdsourced website that collects all accessories that support the HomeKit protocol. If you want to quickly compare and find new accessories for your home of the future, there is no need to Google around hundreds of websites. Simply select the category and choose an accessory to open its official website. At the moment, only accessories that are available for purchase are going to be accepted. Soon, we will be able to start accepting accessories that have been announced but not yet released. Each accessory will then have a badge specifying its availability. Interested in discussing HomeKit? Join the Slack group. 🏋🏻 How can I contribute? Did you find a cool new accessory that has been released officially? Submit it in the Contribute page and it will be reviewed and added as soon as possible to the public database of accessories. My name is Patrick Balestra, a 🇨🇭 software engineer currently living in Stockholm, Sweden. I created HomeKitty in my free time during the last few months. Interested in following the development? If you like this website, please consider donating any amount to help cover the costs, or maybe just gift us a coffee for the late nights spent working on this side-project ☕️. We even made it super easy to donate, just press the Apple Pay button below. HomeKitty is completely open-source on GitHub. If you want to add a feature or fix a problem, you're welcome to do so. It is built on top of Vapor 2 and is written completely in Swift. Vapor Stripe Provider is used to process donations via Apple Pay. Leaf Error Middleware is used to customize error pages.